Air pollution is linked to four million cases of childhood asthma each year, according to research published in The Lancet Planetary Health. The researchers, from George Washington University, estimated that Nitrogen Dioxide (NO2) pollution was linked to 13% of all paediatric asthma cases diagnosed around the world each year. This figure rose to 19% in the UK, as more than a fifth of childhood asthma cases in Britain were linked to NO2. Meanwhile more than a fifth of cases in Manchester (23%) and more than a quarter of cases in London (29%) were linked to NO2 air pollution. In total, 64% of childhood asthma cases occur in urban areas – Lima, Peru; Shanghai, China; Bogota, Columbia; Beijing, China; and Toronto, Canada, were found to have the most cases of childhood asthma related to air pollution. 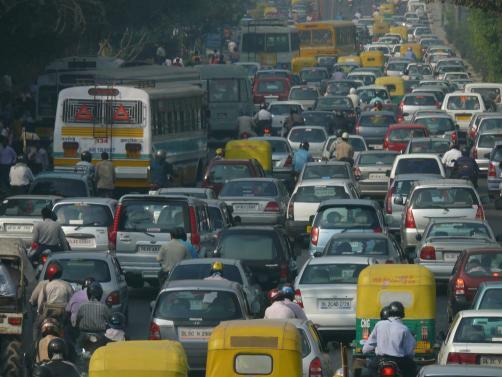 Fossil fuel combustion and traffic emissions are responsible for around 80% of NO2 in cities. It is believed the traffic related pollution may cause damage to airways and thus cause inflammation, a process which triggers asthma in genetically predisposed children. Kuwait was found to have the highest rate of traffic pollution related cases of childhood asthma with 550 cases per 100,000. The United Arab Emirates came in second place with a rate of 460 per 100,000 just ahead of Canada with a rate of 450 per 100,000. However South Korea topped the list of the highest percentage of traffic pollution-attributable childhood asthma incidence, with 31% of childhood asthma cases linked to air pollution. The country was followed by Kuwait (30%), Qatar (30%), the UAE (30%), and Bahrain (26%). The UK came 24th out of 194 countries ahead of China (19th) but behind the United States (25th).